While you may not always be lucky enough to get them, you probably know that experts recommend that the average person needs eight hours of sleep a night for optimal health. It turns out that this amount of rest may not just be desirable for your personal well-being; it could have a life-or-death impact on your abilities as a driver. A recent study has illustrated the degree that driver safety is influenced by how much sleep that a driver did (or didn’t) get the night before. The study, conducted by the AAA Foundation for Traffic safety, examined the crash rate of drivers to learn whether it varied based on the amount of sleep the driver had gotten the night before. 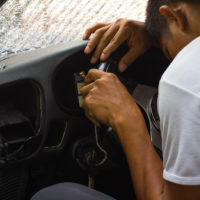 The researchers used data gathered by a nationwide survey of accidents conducted by the National Highway Traffic Safety Administration, which included data on serious car crashes where investigators interviewed the drivers and took note of the evident causes of the crash. The drivers were asked how much sleep they had gotten in the past 24 hours, how much sleep they got on average, and whether their sleep patterns had recently changed. The AAA Foundation researchers compared the answers given by drivers who appeared to have been at fault in the accident with the answers given by non-negligent drivers who had been the victims of crashes. The AAA Foundation reported that drivers who either received fewer than 7 hours of sleep in the past 24 hours, or who got over an hour less sleep than they normally did, were at a significantly higher risk of being at-fault in an accident. Drivers who got only 5 to 6 hours’ sleep were almost twice as likely to be involved in a crash than drivers who got 7 or more hours’ sleep. Most startlingly, drivers who got less than 4 hours of sleep had 11.5 times the crash rate of better-rested drivers. The researchers illustrated the danger of driving on too little sleep by comparing the crash rates of these drivers with intoxicated drivers. The report noted that a driver who got 4 to 5 hours’ sleep had a similar crash rate to a driver with a blood alcohol level that was at or slightly over the legal limit of 0.08%, and a driver who had gotten less than 4 hours’ sleep had a crash rate akin to that of a driver who had a blood alcohol level of 0.12 to 0.15%. If you’ve been injured in a car crash in Washington caused by a drowsy or otherwise negligent driver, find out if you have a claim for money damages for your injuries by contacting the skilled and effective Vancouver personal injury lawyer John Lutgens for a consultation, at 360-693-2119.